Ymir is one of the playable Gods in SMITE. The effects don't stack, but the duration is refresh on each application. Ymir can walk past the wall if its placed right at his feet while he's moving. Frostbite is applied once on cast and then again upon detonation. 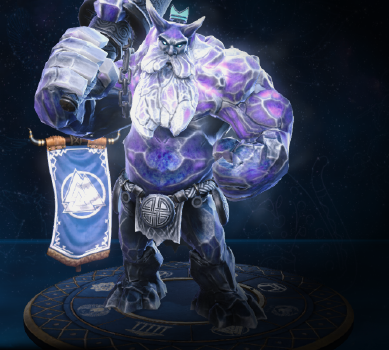 As Ymir, hit 50 basic attacks on enemy gods who are affected by Frostbite in a single match. 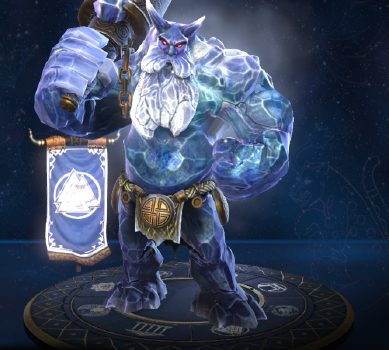 As Ymir, kill three enemy gods at once with your ultimate. 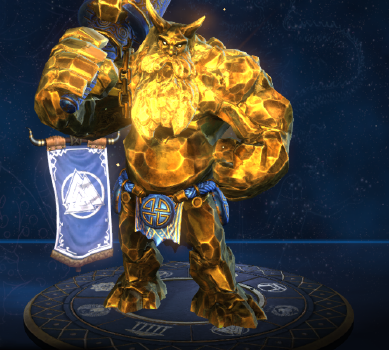 Ymir has been a free starter character for every player account created since the start of the game's closed beta. 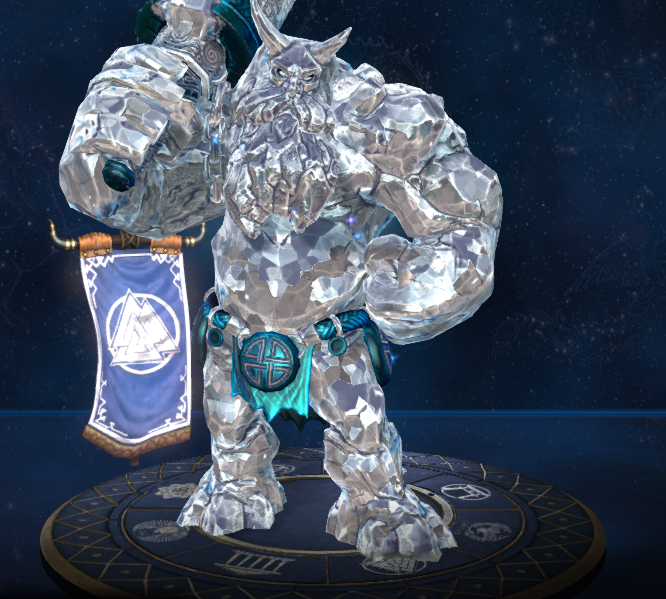 One of Ymir's taunts, "You're mine now! Ymir will love you, and squeeze you, and call you George! ", is a reference to one of Looney Tunes' shorts, The Abominable Snow Rabbit. This character is, himself, a reference to the character Lennie Small from John Steinbeck's Of Mice and Men. This skin has the same name as the item Obsidian Shard. This is the only skin in the game that uses the default VGS for commands but not for abilities. 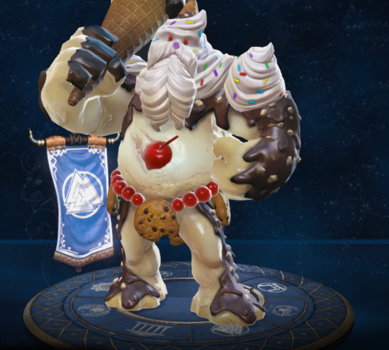 This may have happen because this skin was introduced before gods got there individual voice lines. 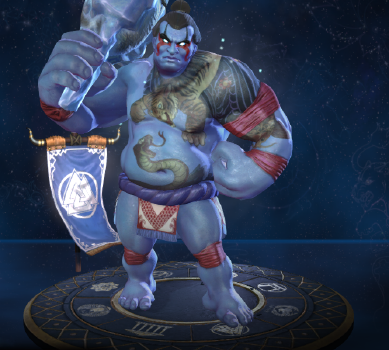 This skin was part of a reward for using the in game streaming option, but since the streaming in game was removed this skin cannot be obtained this way anymore. This skin together with Derpules Hercules were the first skins exclusive to chests. 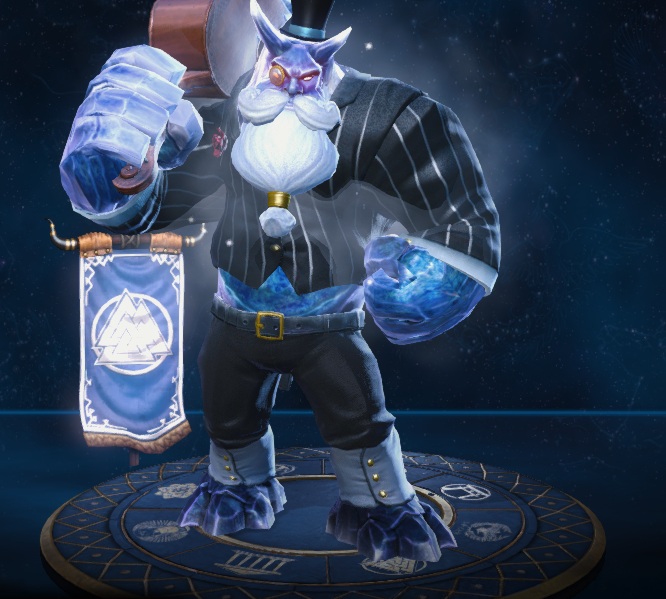 This skin shares it's theme with Duke dan de Lyons Anhur, Lord Slashington III Fenrir, Sir Pentsworth IV, Esq. Kukulkan and Earl Wubert St. Kongfrey Sun Wukong. This skin could be a reference to the in-house studio that produces SMITE, Titan Forge Games. This skins were rewards for getting a account to level 30 on PC, Xbox and PS4. This skins could possibly be a reference to an enemy from the video game Doom. This skin is unlocked with a special code. 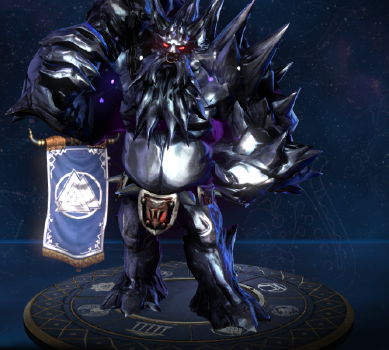 This skin was part of the Rising Dawn event. This skin is unlocked with a special code you can get from Twitch Prime. This skin could only be obtained by accumulating 52500 Odyssey points in the Odyssey 2017 event. This skin was awarded to players that reached Level 30 prior to the games' official release. 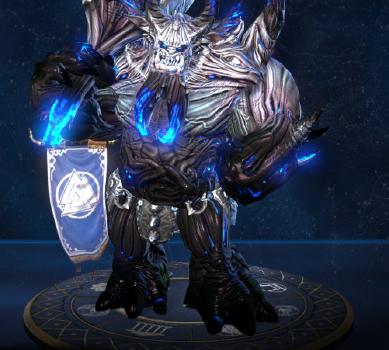 The only way to obtain this skin is by acquiring the Founder's Pack from the Xbox One version. 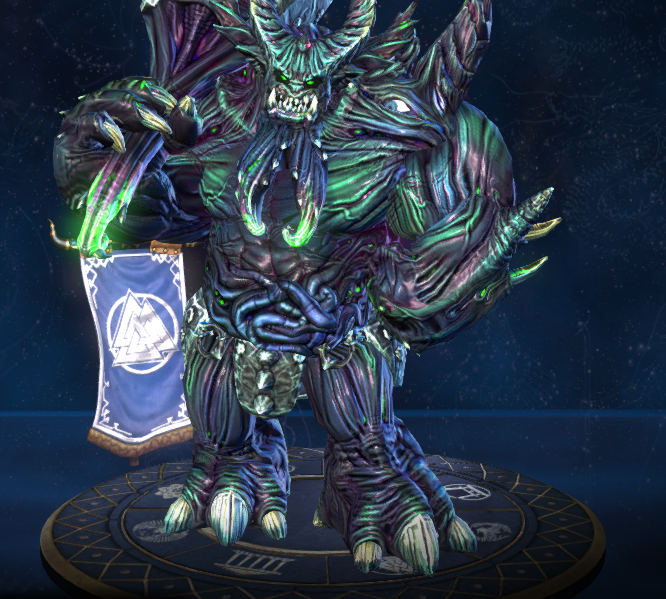 The skin can be unlocked on PC by linking your Hi-Rez account with an Xbox Live account that has a Smite profile: Link. The only way to obtain this skin is by acquiring the Founder's Pack from the PlayStation 4 version. 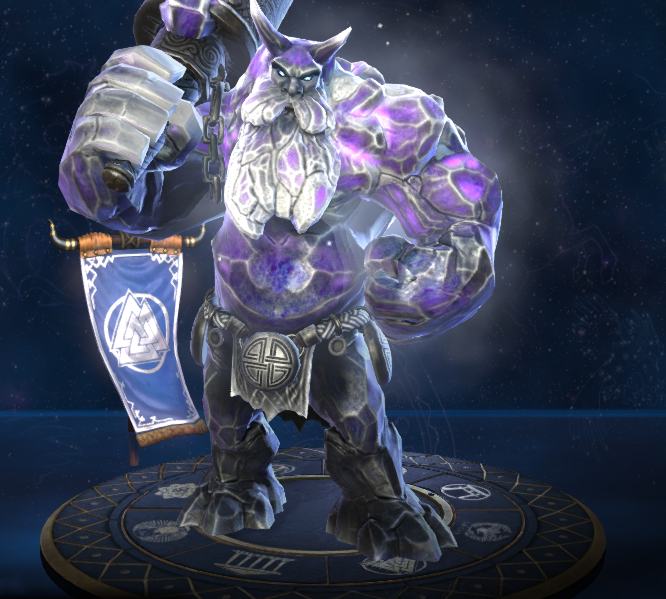 The skin can be unlocked on PC by linking your Hi-Rez account with a PlayStation Network account that has a Smite profile: Link. Increased Base Movement Speed from 365 to 370. Fixed an issue where Ymir's ultimate would create debuff icons for his passive ability with different text. Increased Movement Speed from 360 to 365. 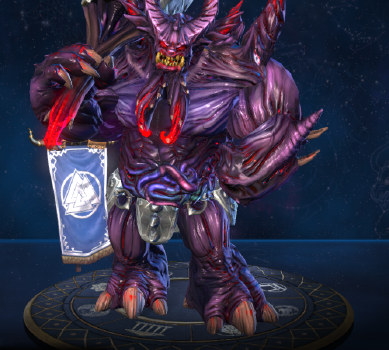 Fixed Belly Ache Ymir VGS “attack middle lane” and “attack right lane”. Enemies afflicted by Frost Bite now deal 10% less damage to all targets. Ymir's footsteps have been redone on all Ymir skins. Fixed some lighting issues with Obsidian Shard skin. Fixed ranks 2 and 3 being 1s shorter than stated. Improved the accuracy of the wall stopping players. 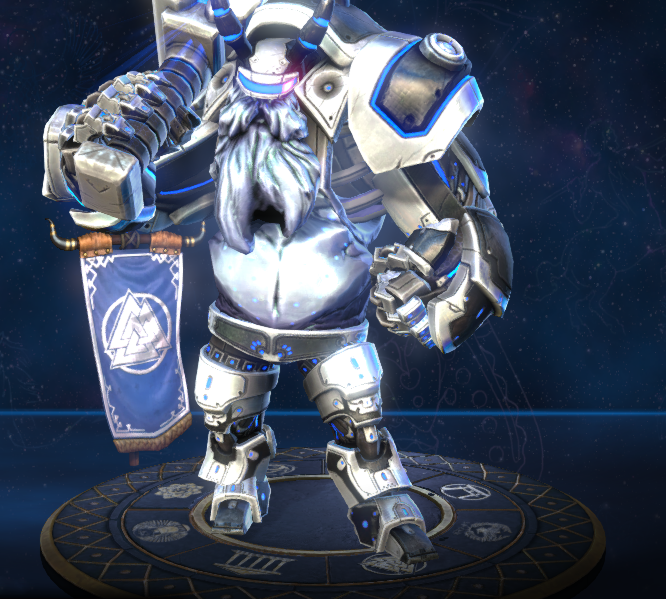 Made it easier for Ymir to run past his wall after deploying at his feet. Fixed Nuclear Ymir skin having no textures in Lobby if texture detail is set to Low or Medium. Updated the Obsidian Shard icon. Added targeters for Cacodemon Skin. Once again addressed an issue where he would remained crouched after cancelling this ability early. 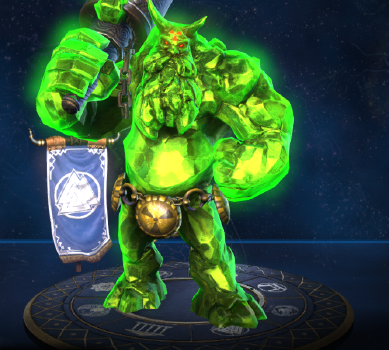 Addressed an issue in which Ymir could remain in crouching position when fired too early. Please report if this issue still appears. Increased Casting time from 0.31 to 0.45. Additional FX modifications have been made to the Digi-Mir 9000 skin. Corrected a bug where some ranks had a 0.1s Pre-Hit delay rather than a 0.3s Pre-Hit delay. Updated visual FX during buildup. This should also fix an issue where the FX were playing to completion even if this ability was interrupted early. The time between detonating and damage being dealt has been reduced from .3s to .1s. This ability no longer require`s line of sight. This ability no longer deals damage if he dies before detonation. The amount of time between firing this ability and the damage occurring has been reduced from 0.79s to 0.5s. This ability has been changed so that you can right click to detonate it early for reduced damage. The base damage has been reduced from 600/750/900/1050/1200 to 500/650/800/950/1100. The magical power contribution has been decreased from 200% to 150%. His base mana has been increased from 185 to 200. His mana per level has been increased from 30 to 32. His base physical protection has been increased from 21 to 23. The cooldown of this ability has been reduced from 11s to 8s. The magical power contribution has been increased from 60% to 70%. Ground targeters have been customized. The basic attack damage buff has been increased from 50% to 100% additional damage. The slow effect on Shards of Ice works every time. (Used to fail the first time the ability was cast).